Loopholes of Real Estate is for the first time as well as seasoned investors. It reveals the legal and tax strategies used by the rich for generations to acquire and benefit from real estate investments. 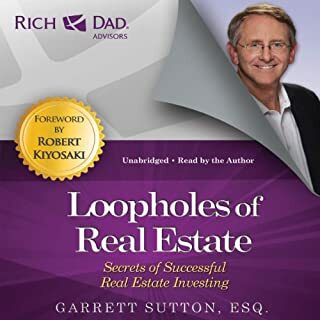 The audiobook clearly identifies how these loopholes can be used together to maximize your income and protect your investments. 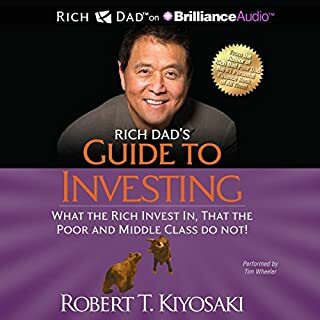 Written in easy to understand language, this audiobook demystifies the legal and tax aspect of investing with easy-to-follow, real-life examples. 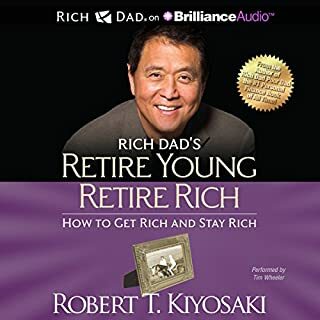 In a world where too many financial advisors do not follow their own advice, here is a book written by experts who practice what they teach and who will teach you to thrive, not merely survive, during turbulent economic times. This is the real deal...The Real Book of Real Estate. The only thing better than one real estate expert teaching you how to invest and win is 20 real estate experts with that same mission. 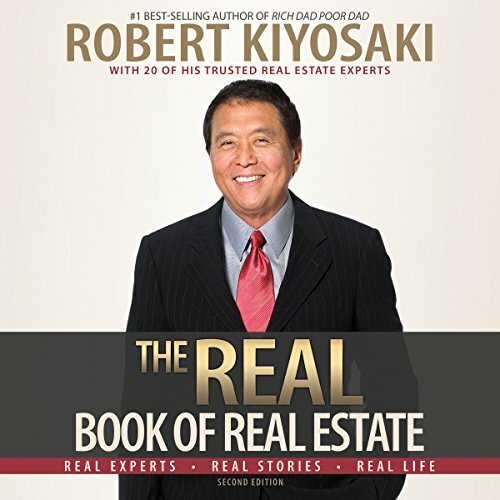 For the first time ever, Robert Kiyosaki, bestselling author of Rich Dad Poor Dad, has assembled in one book an unrivaled cast of real estate wizards and trusted advisors with one purpose in mind: to share their knowledge and teach you to win in real estate. This is the ultimate real estate book you will come back to again and again. Listen to it cover to cover, or use it as a guide to help when you need it most. The Real Book of Real Estate will be your number one source as you determine the real estate niche that is perfect for you and as you navigate the ups and downs of the real estate market and become the expert you know you can be. 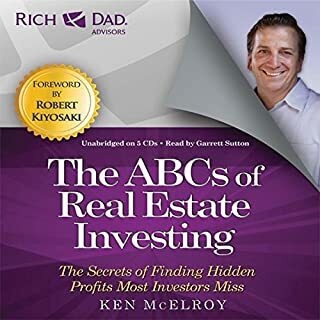 Whether you're a seasoned investor or buying your first property, this is the one book you can and will listen to it over and over. Robert's team of real experts shows you how to: value a property, lease a property and keep it leased, get financing, title and protect entities, find hidden investment opportunities, minimize taxes, and establish your own team of advisors. 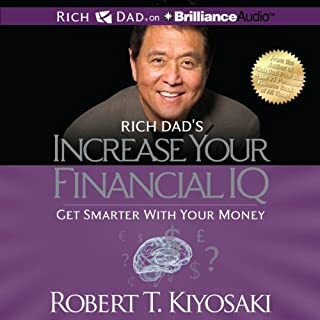 ©2013, 2016 Robert T. Kiyosaki (P)2016 Brilliance Audio, all rights reserved. This book should be call The Real Book of Commercial Real Estate. They barely mention and single family or multi-family (2-4-plex) homes. Majority 100+ unit apartment complexes and commercial real estate like malls and shopping centers. Good for high level advanced investors but not good for everyday investors. 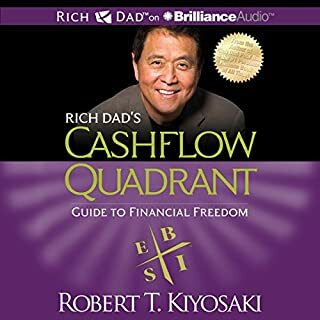 I have read every book in the rich dad series.. This book is the best one yet.. every topic on real estate investing in one place with real world case studies ... only down fall was the narrator. .. such wonderful information was very hard to pay attention with a dry robotic narrator... I believe Garrett Sutton world have been a perfect fit as he was for many of the rich dad books in the past.. Disappointed about the repetition from earlier books using a different speaker. Same material repacked! You can't understand a chart when someone is reading the chart like this ROI 35%, cash flow $800 etc. You need to see the chart to get it! But when someone is just reading it like a book, it just goes over your head! Wish i could see the charts! "Great content for the diligent real estate investor. A NO BULL educational audio in: what, where, when, why and how to get things done in the real estate bizz. I enjoyed it.Very informative and educational. I loved the examples offered and the experiences and real life examples given by the experts. Thank you Robert for putting this together. this is a must read to any real estate investor! Great advice for those just starting out in their Real Estate Journey ! I Highly recommend this read to all who wish to become financially independent! The best thing about the book is the large amount of additional resources that are provided for use as references to support and further your education and understanding of the topics discussed. Best one yet, Robert!! Thank you!! If you have an open mind, you will enjoy the lessons from many very successful proffesionals. The real-life examples are encouraging and offer great lessons and inspiration. This is pretty much just a book of successful business people trying to sell their services to you. They tell occasional stories of their experiences in real estate but they all pretty much end with, "don't try and do this yourself, pay us to do it for you". 1 hour telling you why you need an interior decorator, 1 hour about why you need a landscaper. Sure these are important parts of investing in real estate, but you don't need an 18 hour long book to tell me about it. It's basically just one big advert. A collection of real estate brains. This book has all the strategies. A great investment. Would highly recommend. Really enjoyed it. Difficult to listen to . But I still strongly recommend. This is a treasure box of golden nuggets.